Do you ever wander through lighting stores with high expectations of finding exactly what you are looking for, only to come up short on delivery? Or, maybe you find exactly what you want but the price is three times higher than what you budgeted for! Yikes! If you need to outfit more than one room or even a whole house, you can quickly be spending a fortune. That is why we came up with a DIY pendant light that is super affordable and creative. I love seeing unique and interesting light fixtures. This is exactly what I try to achieve throughout my own home and cabin. That is where homemade lights can really do the trick. You have the control to create something with just the colors, texture and theme that you are looking for. Plus, you can better control the cost. 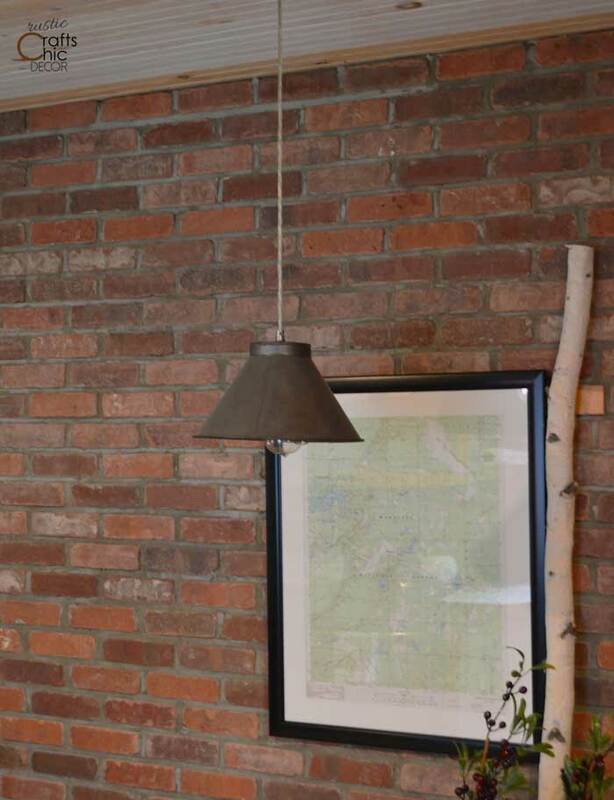 Since our cabin is rustic, I wanted to have a pendant light over our kitchen table that was rustic industrial. I couldn’t find anything to purchase that was the industrial look that I wanted so we decided to make our own. With my thinking cap on, I began looking for inspiration. And, sometimes inspiration comes from the weirdest objects! 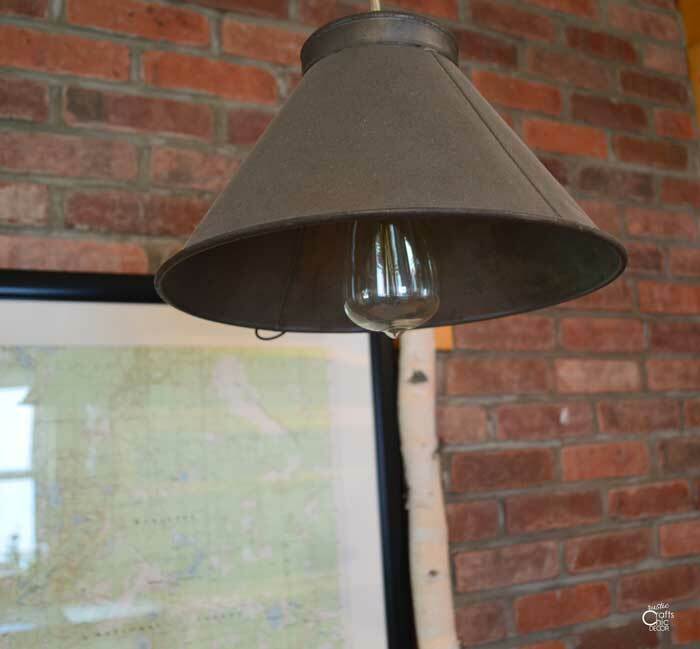 We found an old sifter from an antique store that was the perfect size, color and texture that we wanted for a pendant light. It was easy to convert it into a light by just purchasing a pendant light wiring kit and cutting a small hole through the small end of the sifter. To make it look even more vintage, we used a vintage Edison bulb that you can find at almost every home improvement store. The mesh at the bottom of the sifter was easy to cut a hole through. All we had to do next was to run the light kit wire through the hole. 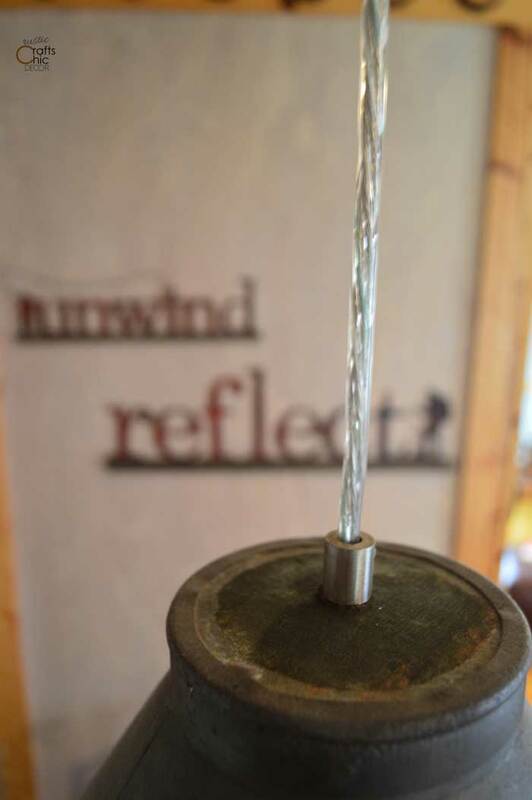 The Edison bulb looks right at home in the sifter. It’s a perfect fit for our small kitchen. I like that it is both industrial looking and unique. For more ideas on unique homemade lights, make sure to check out my post on DIY Lighting Ideas For A Shabby Chic Style. Thanks for the inspiration! I really like the edison style and i’ve wanted to duplicate it and now I can. 🙂 Was wondering though– what type of floor is in your kitchen looks interesting. Did you make it? The floors are actually just the OSB flooring finished off with Varathane floor varnish (lots of coats). See my article here – http://song-bird.hubpages.com/hub/rustic-flooring for all of the details.